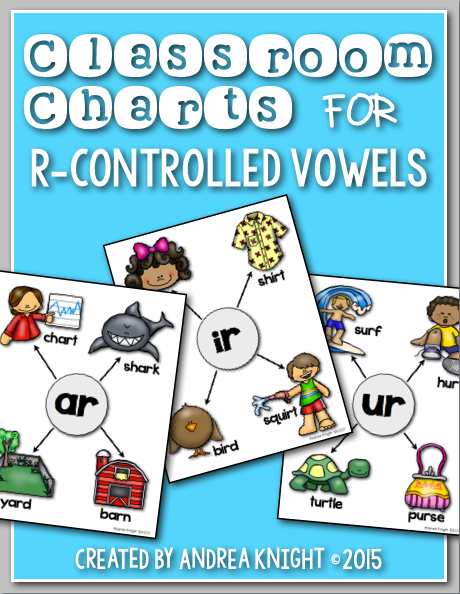 This is that time of year when I still have a few students who just haven't quite mastered those tricky r-controlled vowels, so I put together these little classroom charts as an extra resource for them. I can keep them small and use them during guided reading groups or enlarge them and hang them as posters near my word wall as a reference for everyone to see. If you have a few children who need a little more coaching in this way, you can download these posters in my TPT store.